The Little House on the Prairie Books have been delighting children and adults since the first book was published in 1932. The books were written by Laura Ingalls Wilder and describe her childhood as her family lived in Wisconsin, Kansas, Minnesota, and South Dakota. As an adult, Laura settled in Mansfield, Missouri with her husband and daughter in 1897. She lived there for over 60 years. The home they built is still standing today. 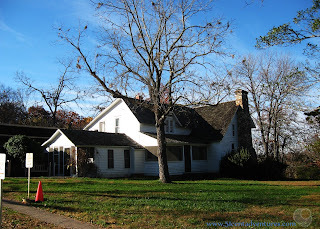 All the books in the Little House on the Prairie series were written in this home. 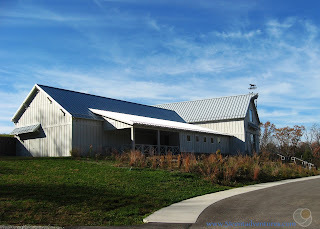 A museum has been built on the property. Fans of the books come from all over to tour the museum and home. They can see many treasures that Laura wrote about in her books - including Pa's fiddle. Cost: $14 for adults and $7 for children ages 6 to 17. Children under 6 are free. Operating Seasons and Hours: Open from March 1 to November 15. Hours are Monday thru Saturday from 9:00 am to 5:00 pm and Sundays from 12:30 pm to 5:00 pm. 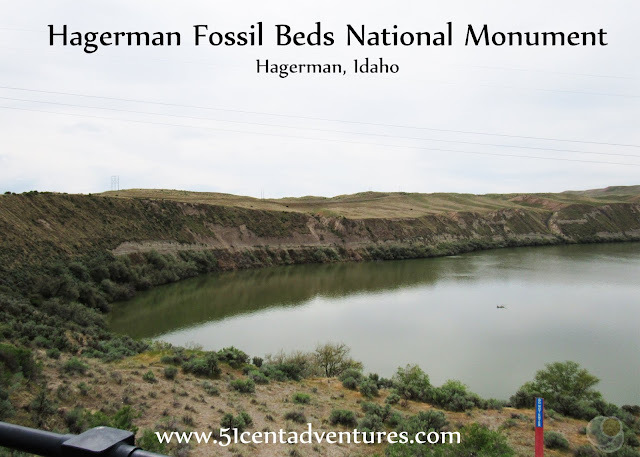 This was the first stop of the second day of our road trip when we moved from Alabama to Utah in November of 2016. We'd driven over 700 miles during our first day of travel. On that first day we'd stopped for a few hours at the Mississippi Observation Deck in New Madrid, Missouri before continuing on to our hotel in Mountain Grove which was just 20 minutes away from Laura's home in Mansfield. I was 5 years old when my mom first introduced me to Laura Ingalls Wilder. She read me Little House in the Big Woods and I loved every word of it. After that I received a book in the series as a present for each birthday and Christmas. We finished the series when I was 9 years old. I reread the series many times as I grew older. 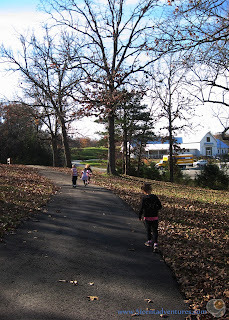 When my own girls were about 5 years old I had the joy of introducing them to Laura Ingalls. My girls benefited from the fact that I already owned the whole series and so we were able to finish the whole series over a just a few months. The girls learned to love Laura as much as I did. 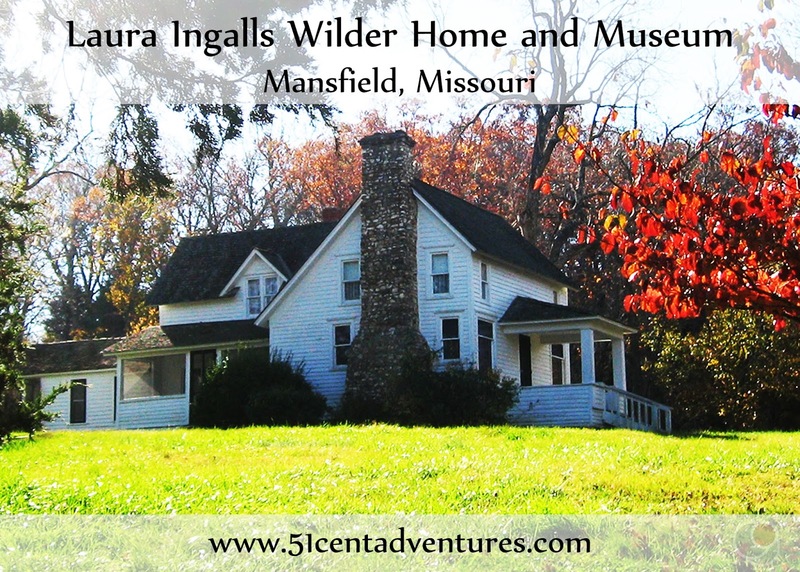 I started kicking around the idea of visiting the Laura Ingalls Wilder Historic Home and Museum in Mansfield, Missouri. Mansfield is roughly halfway between Alabama and Utah so I decided that if we went back to Utah for a visit we should plan our route so we could see the home and museum dedicated to one of my favorite authors. 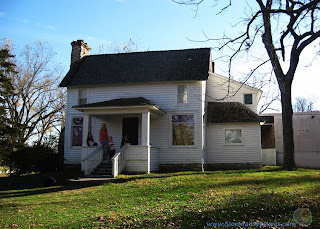 I knew it would be really special to visit the home where Laura wrote the books.I was especially excited about seeing Pa's fiddle in real life. When we realized that we'd be moving to Utah I made Laura's house in Mansfield an anchor point for the whole road trip. I planned our route to include southern Missouri so we could make sure to stop at Laura's house. I was very excited to finally get to see Laura's home. But when we got to the museum we received some bad news. The museum and home were closed for the season! Only the book store was open. For a minute I was really confused. I told the lady who worked at the book store, "But you're website says you are open until November 15." Before that sentence was even out of my mouth I realized that the 15th had already passed. This was really Thursday, November 17th. We'd missed getting a tour by two days! That's what happens when a road trip that you planned for September gets bumped to November. So we wouldn't get to see Pa's Fiddle or any of Laura's other possessions on this trip. As a consolation prize we were able to walk up to see the outside of the home. That itself was very special for me. This home is where Laura and her husband Almonso settled in 1897. She lived there for over 60 years. All the books in the Little House on the Prairie series were written in this home. I couldn't believe I was walking around on the same ground that Laura once walked on. 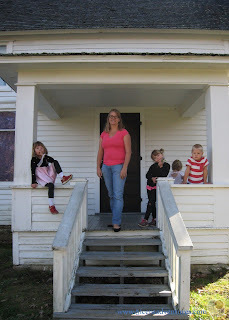 There is a famous picture of Laura standing on the porch of her home. It looks different than this porch does today, but I still liked standing on her same porch. Just think, she stood here too! My six year old twins were also pretty excited about seeing Laura's house. In addition to the Little House the Prairie Series we'd also started on the sequel series about Rose's childhood. 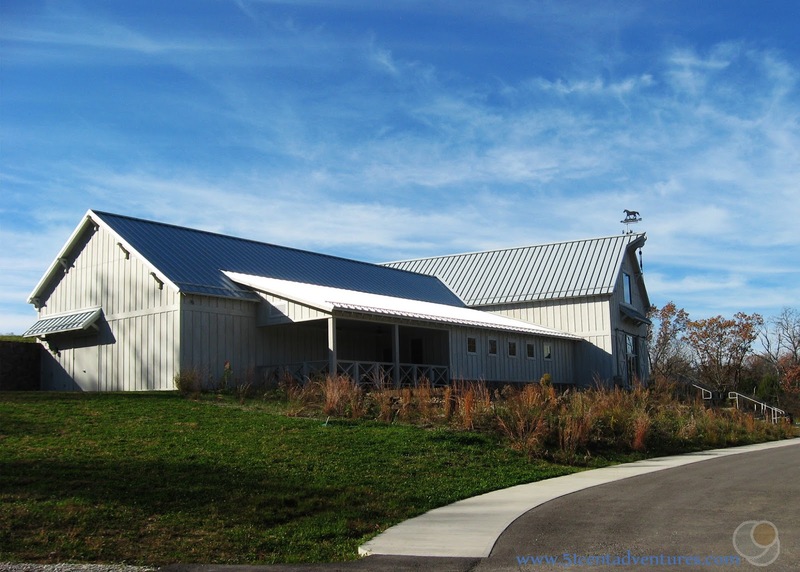 The Rose books talk about when the Wilder Family first bought the farm and built several houses, including this one. 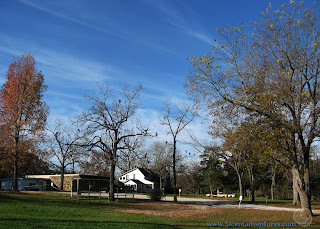 Today there is a large museum located down the hill from the homestead. There is also a smaller museum located next to the house. Thanks to our bad timing we weren't able to go into any of the buildings. But if you are there at the right time you can tour all the buildings. 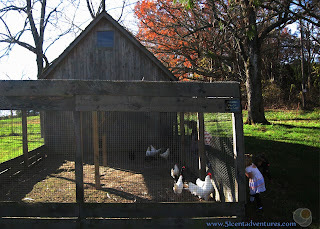 Laura loved chickens and so it is fitting that there is a chicken coop on the property. 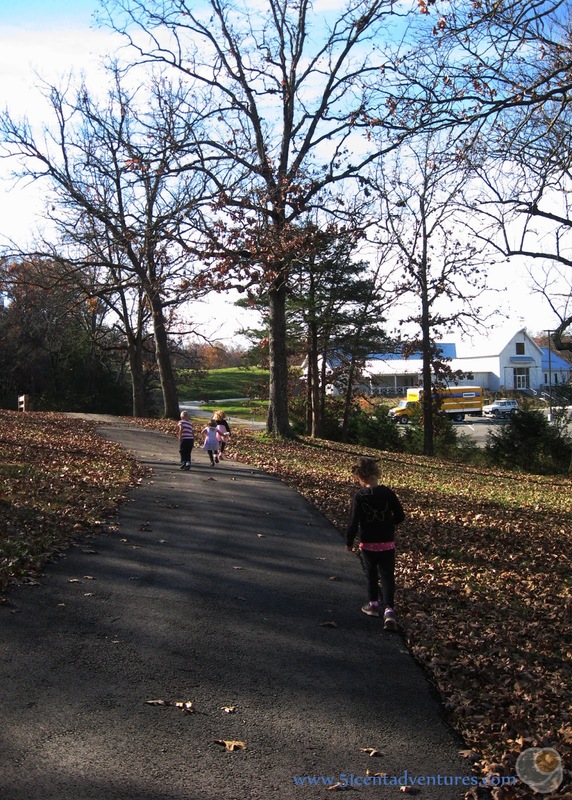 We walked back down the paved trail to our vehicles and talked about how next time we visit this place we'll be able to go inside. I didn't realize all this at the time, but the museum and this path were all brand new earlier that year. The property caretakers are making sure that Laura's legacy can be enjoyed for generations. And just to add some added perspective, this is what my husband was driving the whole time we traveled on this road trip. 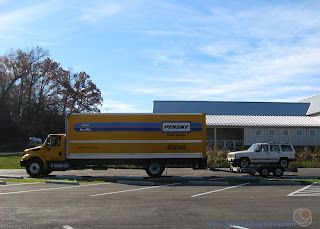 He had a 26 foot moving van that was pulling a trailer with our jeep on it. I was driving our Honda. In a way it's probably good that the home and museum were closed for tours, because that way there was plenty of room in the parking lot. Otherwise we probably would have had to find somewhere to park in Mansfield. 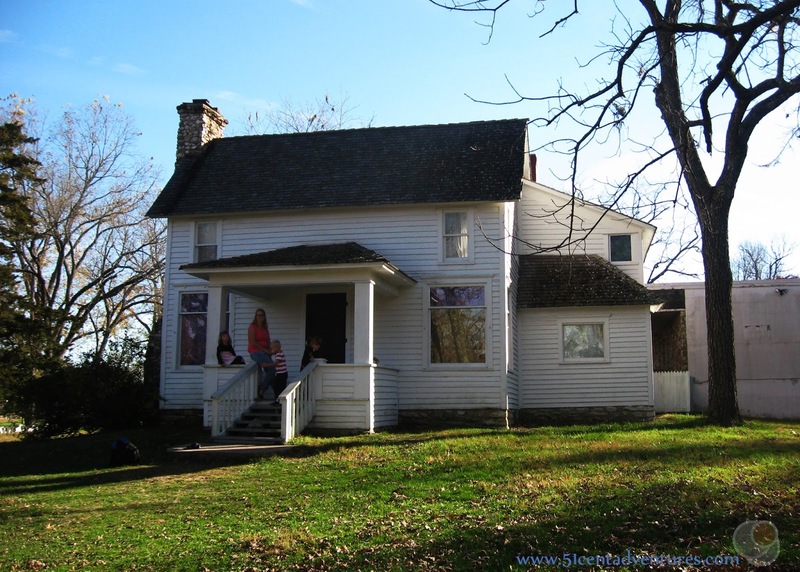 Recommendation: If you are a fan of Laura Ingalls at all, you should plan to visit her home once in your life. Just be smarter than me and go there when the home is actually open for tours. Directions: Laura's home is located just a few minutes from Highway 60. 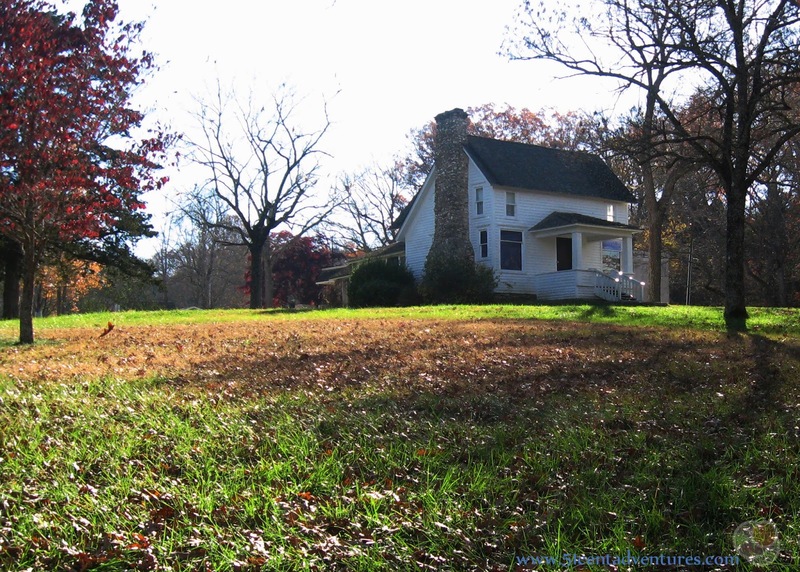 The home is on the eastern side of Mansfield along Highway A. Additional Information: If you want to learn more about Laura's fascinating childhood, I highly recommend reading Pioneer Girl: The Annotated Autobiography. Before she wrote the Little House books Laura wrote about her childhood in several notebooks. This served as the basis for what later became a series of nine critically acclaimed novels. Laura's original account has been printed in this book along with notations that add details and explain certain things she says. There are also many pictures of Laura and her family through the years. This book is a great companion to the Little House Series. Places Nearby: I was very impressed by the scenery as we drove through the Ozark Mountains in Missouri and I wish we had more time to explore the area more thoroughly. 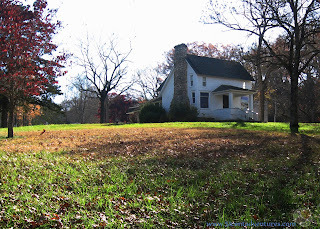 I don't have any specific places to recommend, but I'm sure there are some amazing destinations hidden in the Ozarks.